Download King Arthur: Legend of the Sword in Digital HD from the iTunes store. King Arthur: Legend of the Sword images are © Warner Bros.. All Rights Reserved. Camelot - the age of innocence, love, and peace. Camelot- an age that whirls in the fantasy of a King that will bring prosperity and peace in a land fraught with battle scars. Camelot- one that will begin with a man pulling a sword from a stone- Excaliber. We've all grown up on Camelot – our parents with JFK's administration- us with the fairytales of Arthur, Lancelot, and Guinevere, a love triangle that supposedly brought down what should have been the best kingdom to ever exist. 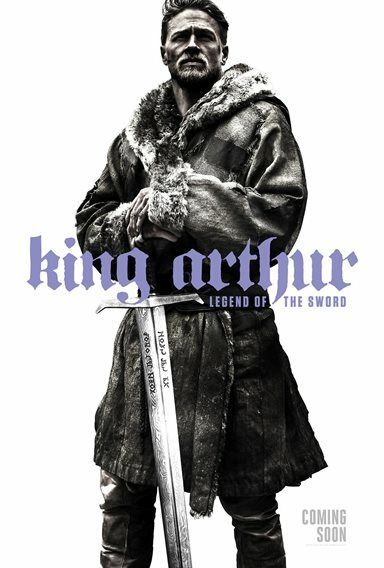 Director Guy Ritchie (Sherlock Holmes) in conjunction with true Warner Bros. form brings us King Arthur: Legend of the Sword to us in a very different way, melding modernism with the epic tale that this movie creates in a way not previously told. Bringing us to the roots of Arthur's fight for his people – for his kingdom- shows us a different side of Arthur- full of fight and vigor to survive and win his crown. Ritchie ensnares us in believing in King Arthur by blurring the lines between fantasy and history- propelling the audience to think deeply about their own beliefs while sucking us into an electrifying almost modern Camelot the whole time without us even realizing it. Using modern guitar acoustic background music to propel events, Ritchie has created an intense action/drama with unique features to keep our interest. Taking us a few minutes into the future in the scenes between Uncle and Nephew in the castle – jumping from scene to scene- which, could have been confusing- was typical Ritchie style and served a huge purpose of keeping the audience engaged. Any confusion is minimal and worth the foreshadowing. Ritchie has brought modernism to the oldest tale of an ancient kingdom's regality with such an intensity that it hurts when it's over. The directing of this film would not have worked without the incredible caliber of actors case. Charlie Hunman (The Lost City of Z) portrays Arthur Pendragon, sent away by his father only to be raised in a brothel. Despite his unusual upbringing, when he pulls Excaliber out of the stone, even his Uncle (Jude Law; The Young Pope)- who stole the Crown from King Uther, Arthur's father, recognizes the passion and drive that literally possesses Arthur. It seems as if one cannot escape one's destiny. Ensuing flashbacks throughout the movie bring Arthur to a full realization of what his destiny actually is, along with the help of the Mage (Astrid Berges-Frisbey; Pirates of the Carribean: On Stranger Tides) as well as Dijmon Hounsou (Furious 7) whose expressions could ensure the command of anyone. Aiden Gillen (Game of Thrones) also needs to be commended for his performance- the articulate and meticulous persona that we all know and love from Game of Thrones- going against orders in order to further Arthur's cause. Hunman brings both an innocence and a ruthlessness to Arthur's character, showing the audience that the golden boy has darkness around him, also. It parallels the ruthlessness exhibited by Jude Law as Arthur's Uncle and constantly reminds the audience that the Pendragon men could be one and the same if circumstances were different. Hunman's humor throughout the movie is simple and never seems forced. His actions are natural and the audience will root for him to defeat Law's character despite the adversity his faces. Berges-Frisby is amazing as the Mage and the onscreen chemistry/interaction with Hunman is unmistakable. Jude Law's ruthlessness is very different from Hunam's characters. While Hunman's is more of an innocent ruthlessness- the necessity to survive, Law's is calculated. You can see him sitting on the throne, speaking with his advisers, and simply watching everything. Law shows his emotions in his eyes and they are not hidden in King Arthur: Legend of the Sword. Law is an intelligent and serious actor, a calculated actor in itself and one who shows that his role is who he is and you cannot forget him. Law was the perfect choice for a man who killed his brother, murdered his wife, and seeks to destroy his nephew- all for power that is simply fear of his people instead of the people loving their King. The movie itself is presented in two formats- 4K UHD and HD with the special features being found only on the HD Blu-ray. First, let's discuss the HD presentation which is presented in 1080p High Definition with an aspect ratio of 2:4.1. The picture quality is focused and clear. Background details were sometimes blurred just out of reach as they should be and when the camera honed in on the actors, it brought an incredible HD viewing experience to the screen- I have to say one of the best I have seen to date. The camera's following the fight scenes were incredible and the action the cameras caught helped to make those scenes into one of epic proportions. In addition, while a film of this nature with an overcast tinge to it can be dingy, this overcast tinge, while emphasizing a dreariness to the time frame was appropriate since the cinematographic coloring also played a significant part as it lent itself to the possible historical storyline without being sad and dingy. From what you can see above, I found the HD presentation of King Arthur to be incredible. Watching it in HD, I thought the picture quality couldn't get any better – and then I popped in the 4K UHD (presented in 2160p Ultra High Definition 16x9 with an aspect ratio of 2.4:1) in my 4K Blu-ray player to watch on my decent quality 4K television. My initial assumption that the 4K couldn't really provide a huge difference since the HD was so great, I was absolutely taken aback when the movie began and progressed. Crisp, clear colors and a subtle brightness that wasn't present in the HD version brought the scenes to life in a way that even the HD version didn't present. Details were concise and metal gleaming- impressive. Background details that were slightly blurred in the HD version- which I found initially to be cinematographically pleasing were clear in a way that I wouldn't have believed possible. Because of the color tone of the movie, I did feel that the blacks weren't as balanced as they could have been but that was so minute in the actual presentation that it doesn't take away from the viewing quality in any sense. Watching 4K UHD is so absorbing that you will not even glance at your watch once during the film. I've often wondered if I bought a high-end 4K television if there would be even more improvement in the 4K versions I review, but I cannot honestly see how King Arthur: Legends of the Sword can get any better than it already is on the 4K I watched. It was simply an engrossing and incredibly aesthetical experience. One of the best qualities of the presentation of both the 4K and the HD Blu-ray is the sound presentation. Warner Bros. is upping the ante for other films by ensuring that they are providing the best sound quality for in home viewing. Upgrading the 4K and HD Blu-ray to Dolby Atmos -True HD brings the battle scenes to life rather than using an older sound presentation, which would have muted the battle scenes and emotions. I love when I can ascertain the difference between the speaking parts from the background noises and especially when you can clearly hear the speech and the background noises separately without straining your ears. In addition, the opening scene and scenes with interactions between the Mage and Arthur that are almost void of sound are so impactful that it is surprising it is not used more often. In King Arthur it is true when you hear the expression – "Silence is Golden". Kudos to Warner Bros. for providing us with a well balanced and excellent listening experience utilizing both sound and silence. Also increasing the value to this video combination are the Special Features included on the HD Blu-ray. Arthur with Swagger – See Charlie Hunnam in action. Parry and Bleed – Did you ever want to learn how to swing a sword? Get a crash course when you watch this extra feature. Building on the Past - Creating the Medieval Urban life from scratch. Camelot in 93 Days – Join the cast and see what they go through as they shoot the film in 93 days. Legend of Excalibur – Bringing the most famous sword to life for a new generation. Scenic Scotland –Pander the Scottish land and see why King Arthur was filmed there. The question is- should you invest in the 4K UHD version or the Blu-ray version? Both versions come with the HD Blu-ray with the Special Features as well as a digital copy which is always a great option for watching the movie on the go. The HD version is all inclusive- meaning you don't have to change discs to watch the special features and also comes with a DVD that you can take to work and pop in your computer and watch when the boss isn't around (but you can also utilize the digital version for this). In addition, the HD version presents an incredible viewing experience. The 4K UHD, on the other hand, provides an immersive experience. The 4K, in my opinion, is not simply the wave of the future but is the present. You get two superior viewing experiences- with the 4K purchase- both the 4K UHD and HD Blu-ray. 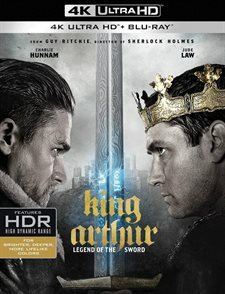 Simply stated, while either purchase is a smart investment why purchase one great viewing experience when you can have two incredible viewing experiences with the 4K UHD version of King Arthur: Legend of the Sword. Hopefully, this will be one of many Guy Ritchie's King Arthur movies in the Camelot Universe that will come to fruition. There is so much more to this film than hunky actors, an experienced Director, and fairy tale (or is it history?) of a King of epic proportions. 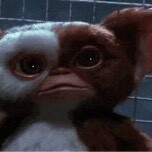 I loved that the film blurred the lines between fairy tale and history making the audience think for itself. Watching King Arthur: Legend of The Sword is a visceral experience- one you won't be able to tear your eyes away from. How this missed instant Blockbuster hit in the theaters is a complete mystery- one that only the Mage might be able to explain. From the explosive music that supplements the action scenes to the brash but occasional naturally humorous dialogue the draws you into every conversation to getting to know the epic story of Camelot in such a different yet captivating way, this is a movie that you must own. Finally time for @FlickDirect screening! Love Guy Ritchie!